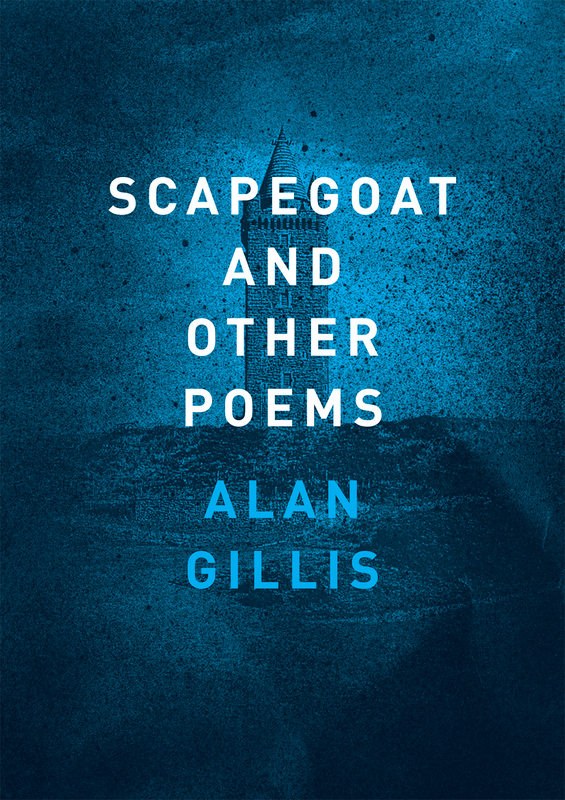 Alan Gillis’s Scapegoat and Other Poems launched on October 1st. To celebrate, WFU Press interns Fahad Rahmat and Rachel Stewart asked Gillis about his influences, religion’s redemptive impulse, how he sees current society and pop culture, and plenty more. 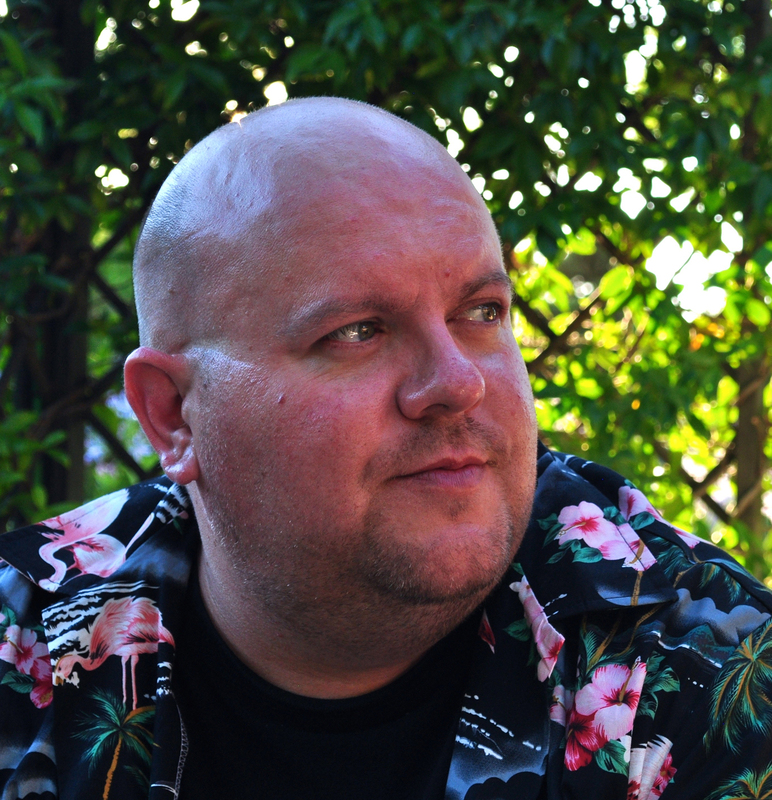 WFU Press: Throughout Scapegoat, the reader encounters words like “fugging” and “pizz-popping, jingle-jangle”—sounds which you’ve incorporated into the verse. What do you see to be the relationship between the sound of a word and the word’s function in a poem? Gillis: The sound of a word is that word’s main function in a poem. Of course, denotation is crucial. But denotation is not in itself poetic. Poetry happens when the sense can’t be separated from the sound of the sense. Poetry is patterned language, and all the patterning is there to augment the sound. First and foremost, this comes from the music of words being strung together in a rhythmic sequence. But certainly, it’s part of the game to be attracted to words which have some character and individuality in themselves. You might say “pizz-popping” and “jingle-jangle” are onomatopoeic, almost trying to enact what they denote. What’s most important is that they are active words, with a kind of performative energy. If you can fuse such kinds of linguistic life with the conventional techniques of sound patterning central to poetry, then you’re in business. In a poem like “In the Shadow of the Mournes,” you’ve created a hybrid cinematic/poetic form. How often do you lean on cinema or films in particular for inspiration? Do you find that particular kinds of pop culture in general capture you the most? That particular poem was a one-off, trying to tie together Noir-ish elements with the poetic ballad. It’s interesting, how our conception of criminality can’t really be separated from a sense of gangsters gleaned from novels and films. This seems continuous with the kinds of archetypal characters found in ballads: the ruined maids, the callous soldiers, and so forth. And I’m sure it goes back to something to do with the human need for myths. And so film is an important aspect of that poem on various levels. But more commonly, I don’t plan poems, and I don’t think about film when setting out to write in any noticeable way. But now that you mention it, I guess film does creep in. Often, I guess, when I’m trying to write about something real, I end up imagining it as a film, as part of the process of trying to capture it in the poem. Yet a film is a kind of dream, and so is a poem, so perhaps it’s ok? The term “pop culture” still sounds derogatory, even when it’s not meant to be. When I drop “pop culture” references into poems it’s because I want to have the stuff of everyday life in there. And normally I would defend the value of “pop culture.” But then again, there’s a lot of crap out there. So it becomes something loaded and, hopefully, dynamic. What you choose to have in a poem, and the way you choose to present it, becomes laden with value and alive with shifting connotations. Could you discuss the use of Biblical references in your poems? The King James translation of the Bible is the foundational poetic text of the culture I grew up in. Some of it is stylistically fantastic, so there is an angle where this could be taken as a good thing—it’s a deep and weird trove of language as rich as anything else produced during the Renaissance, which is not bad to have as the ur-text for a culture. But of course, there’s a downside: I automatically associate the Bible with repression, and even psychosis, before I can get to any upside. As a child in the back of a car, there seemed to be warning messages of hell and damnation posted every twenty yards: not just outside churches and church halls, but as graffiti on the walls. Much of my family was unfortunately prone to evangelism. Authority and Judgement everywhere. Yet although I’ve always basically been an atheist, even as a very young child, I can’t understand how anyone could not be deeply attracted to the pull of some of that rhetoric, some of those myths, and by the lure of redemption, the complex aura of an empty church, and so on. So, as with “pop culture,” I would hope I make varied and dynamic use of Biblical references—it’s certainly not a static or simple thing. One of notable lines in the collection comes from “Scapegoat” when the bloke from another cell says: “Jesus Christ could ye at least gimme a light?” How do you balance the differing scales in the poem between two criminals in grimy conditions and the greater social idea of redemption, or even religion in general? Well, it’s not a cop-out, just a fact, to say that my main job was merely to throw those elements together, and hopefully to pull the reader into thinking about how they should balance. The chief problem with that poem was ensuring the redemption theme could not be ignored, without making it too heavy. It must be open-ended. The artist’s primary job is to bring attention to the questions, I guess. The crux of “Scapegoat,” for me, is probably whether the final “No Surrender” signals any kind of positive change for the young protagonist, or whether it’s just the same old head-in-the-sand recalcitrance. It could surely be spun either way, although a realist would probably tend to suspect it’s the latter option. That’s about the balance I aimed for, anyway—mostly dark, but with a chink of light. Can you tell us a little bit about your decision to end the collection with “The Sweeping”? No harm in ending with a bang: it’s a decent blast of noise. On a practical level, it’d be a bit of a disruptive thing to let fly in the midst of other poems. But I think stylistically it felt very freeing to write, and is in a different register from most of my work. I don’t necessarily think it’s the future for me, but giving a suggestion that one’s style could go on changing seemed a nice way to end a book which is essentially a selection from around 15 years of work. Thematically, the idea of the seasons is as good a structuring principle as I can think of, and the sense of a clear-out, of a devastation before regrowth, is obviously a strong motif. Perhaps a new-age apprehension of the weather’s power, the otherness of nature, is being aligned to some vatic strain of evangelism I haven’t been able to shake off from my upbringing? To be sure, once I’d written it I was anxious that its appetite for the storm might sound callous. As I write this, Hurricane Matthew is pounding into Haiti, and I can’t quite imagine how terrible that is, nor do I know how awful the consequences are going to be. But I didn’t have any such real devastation in mind—this is a kind of wipe-out of the bourgeois safe comfortable Western dulled automated inland urban mall-sprawl with reasonably-priced parking that’s happening. Computers and the Internet recur in your work in poems like “Zeitgeist.” How do you see technology changing poetry, not only in terms of changing the subject matter, but also how it’s consumed, how it’s published, and how it’s changing the ways we interact with each other? In more general terms, I suffer from gadget-lust as much as the next person. But I think the real subject matter, here, is what the Internet and its attendant gadgets and apps are doing to our minds, our lives, right now. And that doesn’t seem positive at all. So while I’m very sure there are great things that can and which might accrue from our digital revolution, right now all I’m seeing, all I’m experiencing, is an epidemic. An alarming flattening and hollowing of things. There’s the click-click infiltration of one’s attention span, the vast reduction of time that might have been given to contemplation, thought, reverie—the nutrients of the imagination. Poetry needs time. I mean, to be read (let’s not even think about the writing of it). It needs to be read slowly. It needs to be read again. But we are driven to click, click, click. As subject matter, this is difficult, limited terrain for a lyric poem, in many ways. But basically I’m grumpy, I dream of being offline, and I’m absolutely gutted the new iPhone 7 Plus in jet black is currently sold out in my town. Let me just Google that again. Arrghhhh! You’ve mentioned both Ciaran Carson and Eiléan Ní Chuilleanáin as influences. Could you discuss these poets and how their work has informed or changed your own? I love Ciaran’s writing—his absolute dedication to the imagination and to literature, where style is raised to a kind of Neo-Platonic ideal, but jokes are still allowed. I think he is one of the great writers about place. As with Joyce, Ciaran’s groundedness in, and fidelity to, a place amounts to an explosion, a complete revolution of that place. That his place happens to be Belfast, of course, was probably always going to make him a formative influence for me. But I’ve learned much in that his place of writing is always also language: it is the Universe, the groundless mind, the matrix and the mist, in his work. With Eiléan, we’re talking more about mystery—the way in which a short sequence of words can be so strange yet so beguiling. One learns a lot about the kinds of balance between giving and suggesting that are possible in a poem from a poet like her. That fundamental pull, that tug towards wanting to reread, then read again, to begin to fathom things that are otherwise beyond words—that’s not all she does, but it’s enough to be going on with. Does your work attempt to outline the differences and/or similarities of the idea of who you are versus where you’re from? If identity is anything smaller than a huge, pulsating, complex, protean, multi-dimensional, contradictory labyrinth of endless possibilities, dreams, desires, and alternatives, then it is a prison. But, of course, you have to deal with all the slaps to the face, the kicks in the head, the dead ends and limitations of life also. Also, you begin by thinking you might write about anything, but you learn you’re much better when you stay within the orbit of what you know. That might not be much in the world’s scale of things, but you do your best to enlarge it, in whatever way. So as a poet you pitch your imagination to account for the residual, the dominant, and the emergent facets of your life, and of other lives, real and imaginary, and hopefully you connect with those who encounter your work, so they can feel a breath of freedom in the context of their own horizons. Would you recommend any particular drink to accompany an evening in with Scapegoat and Other Poems? Drink in moderation folks! But definitely a good clean loose pint of Guinness, alongside a whisky. Jameson’s is the habitual bringer of the night for me, but living in Scotland now, I have to say those malts of Islay are extraordinary. If I could write a poem with that kind of depth and resonance… I should go to the drinks cabinet now and research! His newest volume, Scapegoat and Other Poems, was released on October 1st.